Vertipedia - Howard C. Curtiss, Jr.
Howard C. "Pat" Curtiss, Jr., an internationally recognized authority on helicopter stability, control and aerodynamics, and a leader in rotorcraft education, passed away September 19, 2012 at the age of 82. 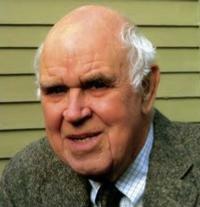 Curtiss was a professor of Mechanical and Aerospace Engineering at Princeton University for 33 years and a 50-year member of AHS. He received his undergraduate degree from Rensselaer Polytechnic Institute in 1952 and, after two years in the U.S. Navy, entered Princeton as a graduate student in aeronautical engineering in 1954. His advisor was Alexander Nikolsky, one of the pioneers of rotorcraft research in the U.S., who took him on as a research staff member even as he worked towards his graduate degree. Curtiss transitioned to a full time research staff position in 1957 and then to the department faculty in 1965, assuming a leading role in Princeton’s rotorcraft research following Nikolsky’s untimely death. He joined AHS in 1960. During his time on the research, Curtiss helped Nikolsky design and develop the Long Track, a test facility that was unique in the study of V/STOL flight mechanics: a 750 ft long building that functioned as a “reverse wind tunnel,” where scale models of aircraft were moved through the air instead of the air blown past the aircraft. The realistic ground plane effects and lack of recirculation – limitations that plagued alternative wind tunnel test venues – allowed this facility to provide valuable data on novel V/STOL configurations, such as the Vertol VZ-2 and LTV XC-142 tiltwings, the Bell X-22 tilt-duct, the Sikorsky ABC coaxial compound, and the Grumman Model 698 tilt-nacelle aircraft. In parallel with this active experimental work, Curtiss became one of the early leaders in studying the effects of dynamic wake inflow on handling qualities of hingeless rotor systems. He was also active in the study of the effect of feedback control on rotor flapping stability. In 1978, he coauthored the highly regarded book, A Modern Course in Aeroelasticity, which is currently in its third edition. Much of his signature work defined critical interactions between the related disciplines of handling qualities and aerodynamics, and included both experimental and computational studies of ground effect and interactional aerodynamics, as well as analysis of maneuvering rate effects on rotor response. In the early 1990s, Pat Curtiss began work supporting Frank Carson of Carson Helicopters, Inc. in the design and development of a retrofit composite rotor blade set for the Sikorsky S-61/H-3 that dramatically improved the performance of that widely-used aircraft, including 2,000 lb of additional lifting capability and a nearly 50 kt speed increase. The new design now has several hundred rotor sets in commercial service and was recently used to re-blade the VH-3D helicopters that serve as "Marine One" when transporting the President. In addition, the British Royal Navy recently purchased more than 200 blades for their Sea Kings for use in Afghanistan. Along with this wide range of research and engineering activities, Curtiss served on both the Naval Research Advisory Council and the Army Science Board in the 1970s, while also acting as Editor-in-Chief of The Journal of the AHS from 1972-74. A fellow of AHS International and the American Institute of Aeronautics and Astronautics (AIAA), Curtiss developed and taught many short courses in the fundamentals of aerodynamics and stability and control at companies and universities around the world, and was named an honorary professor at Nanjing University of Aeronautics and Astronautics in China in 1985. In 2000, he received a singularly appropriate honor, the AHS Alexander Nikolsky Honorary Lectureship, an award named for his original mentor. His lecture, 20th Nikolsky lecture, was "Rotorcraft Stability and Control: Past, Present, and Future." As a teacher, Prof. Curtiss advised more than three dozen graduate students and many undergraduates who sought him out for independent study projects. Students and colleagues said that his success as a teacher stemmed from his ability to break problems down to their essential and understandable components, an approach mirrored in much of his research. In a field where models are often overly simplified or exceedingly complex (particularly with the recent advent of very high levels of computing power), he developed elegant but powerful analyses that provided critical physical insights. His patience, dedication to thoughtful scholarship, great human warmth, and gentlemanly demeanor were much prized by all who knew and worked with him. Donations in his memory may be made to the RPI School of Engineering (Gifts Processing Center, P.O. Box 3164, Boston, MA, 02241-3164) or to Habitat for Humanity of Trenton (601 North Clinton Avenue, Trenton, NJ, 08638).